Margaret Walsh is a textile artist living in Co. Meath, Ireland, and her craft is primarily felting. She lives very close to where the River Boyne flows out to the Irish sea. 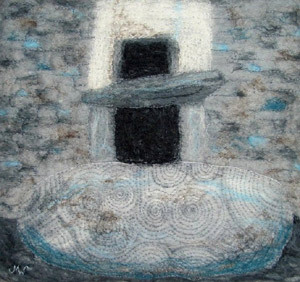 Her inspirations are the ancient sacred sites of the Boyne Valley and the seashore. Margaret is often down by the shore, hoping to find interesting and unusual items of natural beauty that has been washed up by the tide. She takes inspiration from her surroundings, for all her art pieces, whether it is wall hangings, sculptures, jewellery or accessories. 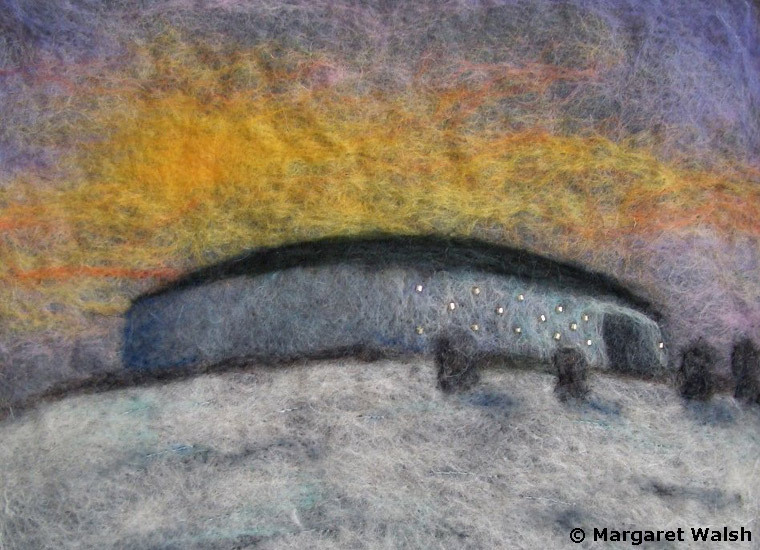 She loves felting because it is so versatile, and in recent years this textile medium has become Margaret's love and crafting passion, it can be shaped and cut, sewn and embellished in all manner of ways producing marvellous works of art. Margaret's background is primarily sewing, and most of her art pieces have beaded and hand sewn details added, as finishing touches. 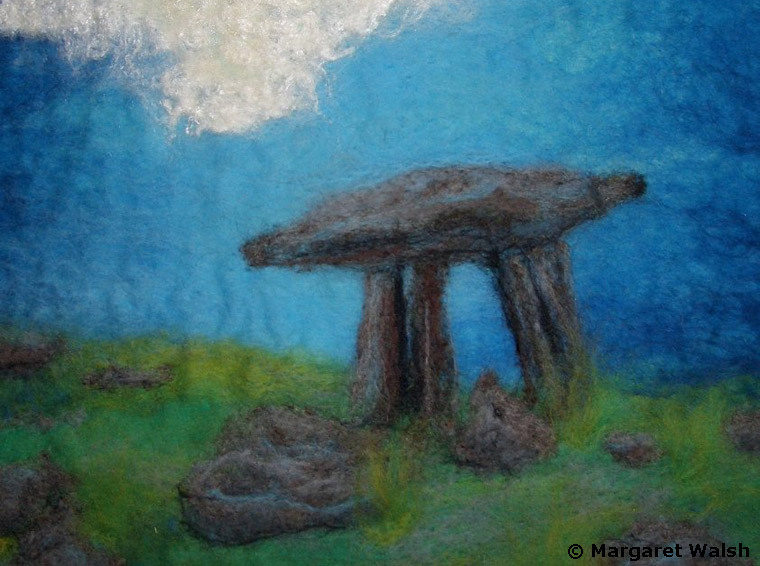 Margaret is a member of the Craft Council of Ireland and Feltmakers Ireland. She has been short listed and exhibited with the Royal Dublin Society, National Craft Competition for a number of years. 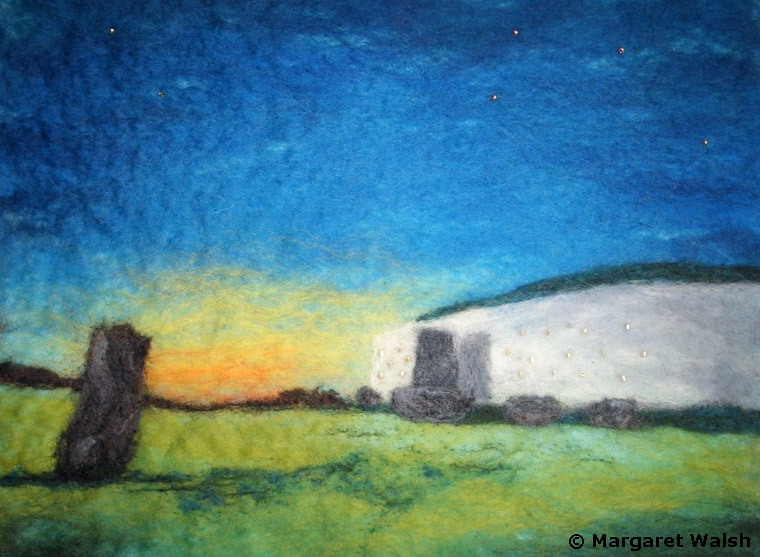 She sells her felted items and other crafts/gifts through nation wide outlets and within her own crafting studio and shop in Bettystown Co. Meath.